Do not feel fear, glamorize your eyeline withouth any pain and with all the guarantee of perfection in the design, the one that you like the most, the one that best suits you and fits your personality. As a professional make-up artist I will always suggest the best style to follow your dream look. Do you want a cat eyes look? Do you want to frame your eye color and give them more strength? Do not you make up and just want to get a more dense eyelash effect? Are you a man and you want to recover the look of your youth, but you do not want it to be noticed? Do you have very clear eyelashes and want to give strength and expressiveness to the look? Tell me what you are looking for and let me do my best!! A black, brown or gray eye-liner ... ..it's going to depend on your personal style. Many people are really nervous and scared to this treatment, they have heard so many scary stories ...... but I guarantee that you will also get to say that: "uff it was not so much", or "this is something else, that has not nothing to do with what they did to me the last time "
In the image above these lines you can see how the eyelids can be swollen during the treatment but that is a symptom we maintain totally under control. Swelling is controlled permanently with dry cold and some anti-inflammatory. The swelling of the eyelid can last up to 1 or 2 days .It depends a lot on the lymph in each person. The best way to highlight an eye is to highlight the lash line in dark. It depends on your personal tastes you can do it in black, dark brown or anthracite gray. Once cured you can make up your eye as usual but the difference is that your eye will be much more alive and bright and your eye makeup will hold all day in perfect condition. The eyeliner will no longer smudge and stain your eyelid. No matter the temperatures, the sweat or that you have to be without makeup, your image will always be perfect and very favored. The edges of the eyelids are micropigmented. The first thing is to make the lady a test make-up and according to the preferences a path is made that favors her. Sometimes only a dotted line is made on the lash lines to give more thickness to the lashes. A practice that is also used for men who have been left without expression or have very clear eyelashes. With this technique, the expression of the eyes is recovered, which in turn considerably rejuvenates the appearance of the person. What do you get? Eyes more defined, expressive and rejuvenated. Correct forms of drooping eyes, small eyes that have run out of eyelashes, etc. What do my patients say? 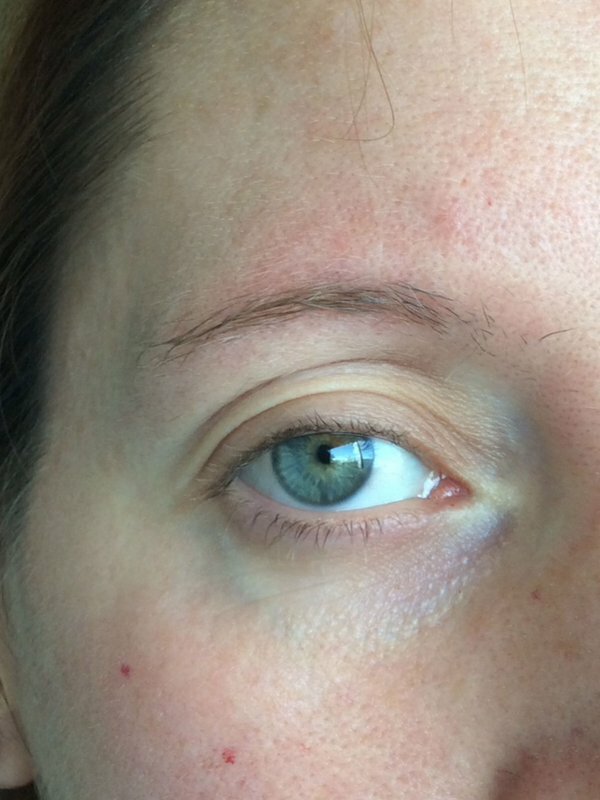 My patients always emphasize the comfort, in summer for the pool, in the mornings that is an important time saving and during the day they no longer run the eyeliner. Their makeup looks more and they are all day with an impeccable image.